Yesterday, I mentioned that March is National Nutrition Month, but that’s not the only health topic Americans should be addressing this month. As I recently discovered, March is also National Kidney Month. Kidney health is an important aspect of your overall health, but it seems to be rarely talked about. March may be almost over, but I wanted to grab this chance to bring more awareness to these vital organs. Kidney disease is a condition that could be sneaking up on you as you read this, so taking action immediately is highly recommended. Your kidneys may seem small, but they are one of the most important organs in your body; they are responsible for a number of essential processes. But do you know how you can keep your kidneys healthy and how detrimental poor kidney function can be? Keeping your kidneys functioning highly is extremely important to your overall health, so you need to be aware of the steps you can take to help your kidneys out and boost your total physical health. Kidney disease is a growing problem. More than 20 million Americans already have it, and many more are at risk. Because it creeps up slowly over time, kidney disease often doesn’t produce any symptoms until it is in its advanced stages. It can literally take decades to take full effect. Kidney disease is caused predominantly by high blood pressure and diabetes. Therefore, the lifestyle choices you make play a major role in whether or not you will develop it. What exactly do your kidneys do and how does kidney disease affect them? Your kidneys are responsible for filtering and removing waste from your body through urine. They also help with the release and production of hormones, as well as controlling blood pressure. When your kidneys stop working efficiently—called kidney disease—waste builds up in your body and leads to further health problems. 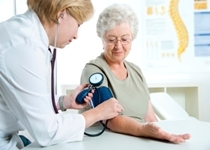 Keeping blood pressure under 140/90 mm Hg is a good place to start. When your blood pressure is lower, your blood can make its way through the kidneys for filtering much easier. This is especially true if you have diabetes. Because diabetes greatly increases your risk for kidney disease, trying to manage your blood sugar is extremely important. If you’re not diabetic, it is still smart to manage blood sugar by reducing the amount of refined and processed foods in your diet. Limit sugar intake and your kidneys will appreciate it! LDL cholesterol (“bad” cholesterol) can wreak havoc on your blood pressure. This type of cholesterol can accumulate in your arteries, making it difficult for blood to pass through. Lower your LDL cholesterol by making better food choices and boosting fiber intake. Eating fruits, vegetables, low-fat dairy, and whole grains can help prevent kidney failure. These foods are high in fiber, don’t contain refined sugars, and help lower cholesterol, blood pressure, and weight. All of these things are essential for reducing your risk of kidney disease. It’s also recommended that you limit your sodium intake. In addition to these four measures, try to get some daily exercise; make it a habit to go for a swim at the local community center, for example. Being at a healthy weight and living an active lifestyle can help improve blood pressure and heart health, allowing your kidneys to function more efficiently. “Learn About Kidney Disease,” National Kidney Disease Education Program web site; http://nkdep.nih.gov/learn.shtml, last accessed March 25, 2015.